On the outside, the S-Cross looks far better than before. 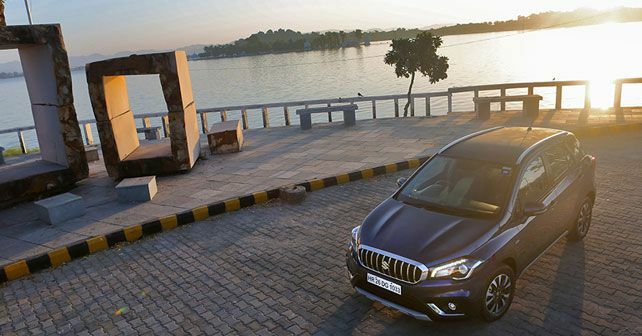 Up-front, it gets a bold, toothy grille. The headlights are huge and get LED projector lights and LED DRLs. The bumper design is all-new as well, and gives the S-Cross a pretty sharp look from the front. The bonnet appears muscular with those creases over it. Along the side, the new S-Cross remains more-or-less similar to the older car. But you will notice that the black-silver 16-inch alloy wheels are new. At the rear, the tail lamp clusters now get an LED finish. Overall, in our S-Cross car review, the silhouette of the S-Cross is more SUV than ever before. The cabin is mostly the same, except for some soft-touch plastics. The glossy, piano-black finish on the dashboard also gets a satin chrome finish. Also familiar is the touchscreen unit that now features Android Auto and Apple CarPlay. If you so wish, you can also have your S-Cross with leather upholstery on the top-of-the-line version. Seated in the driver’s seat, the positioning is perfect. And the seats provide ample support and are very comfortable as well. Room at the rear is never a hassle, as there is lots of legroom and headroom. Its 375-litre boot capacity is good enough to swallow luggage for the airport runs. Features are aplenty, like cruise control, auto headlamps and rain-sensing wipers, dual airbags, Isofix child seat mounts and airbags. Gone is the much-loved 1.6-litre, diesel engine and in comes a 1.3-litre Multi-jet diesel engine that makes 90hp and 200Nm of torque. Paired to the engine is a 5-speed manual transmission. The engine is a bit loud, but can’t be heard much from inside the cabin. The engine has adequate power for both city and highway use. The mild-hybrid setup features a start-stop system and brake energy regeneration. 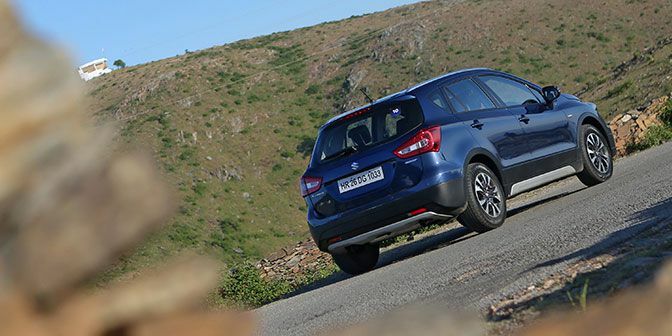 While doing our Suzuki S-Cross review, we found that ride quality is up to the mark. The S-Cross feels planted and tackles road irregularities with aplomb, thanks in part to the fantastic ground clearance. Even at high speeds, the S-Cross is sure-footed and strikes a perfect balance between ride and handling. The new JK Royale tyres offer good grip as well. However, the steering is pretty light and isn’t so much fun around corners. The brakes too, perform reasonably well. As mentioned in our S-Cross review, priced between ₹ 9.2 and ₹ 11 lakh (ex-showroom, Delhi), the S-Cross offers a lot and continues to be a nice, practical car to drive and still manages to undercut the other compact SUVs in terms of pricing. For anyone who is on the lookout for a good, all-round family car that is compact and fits the bill as an everyday car, look no further than the S-Cross. 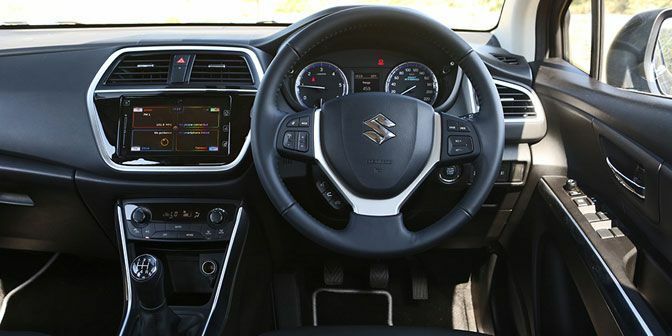 Do look out for our in-depth Maruti Suzuki S-Cross review to find out more.